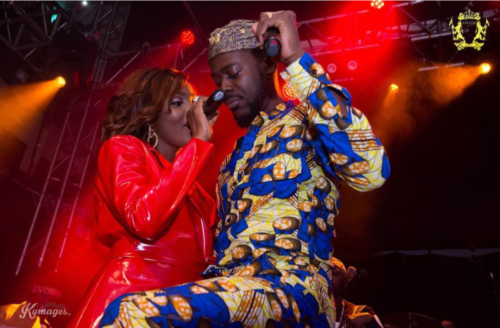 Nigerian singer Simi is still basking in the euphoria of having her first headline concert in London ‘Simi Live‘. The singer born Simisola Ogunleye sold out the O2 Islington for her November 11, concert. A lot of artistes were lined up to perform at the show on that stood out was Wizkid who came through and wasn’t officially on the guest list. The Starboy showed up and performed at the concert. Simi had taken out time to send her appreciation to Wizkid for surprising her. She also send some sweet words to her boo Adekunle Gold. Wizzzzzz Ayo STARBOY!!! He surprised me backstage. I didn’t even have my wig on 😩 He showed up for me 😍😍😍 I’m so thankful to you for being a part of this day for me. God bless you! !